Job growth was weaker than expected last month, with employers adding 214,000 jobs in October, the U.S. Labor Department said Friday. 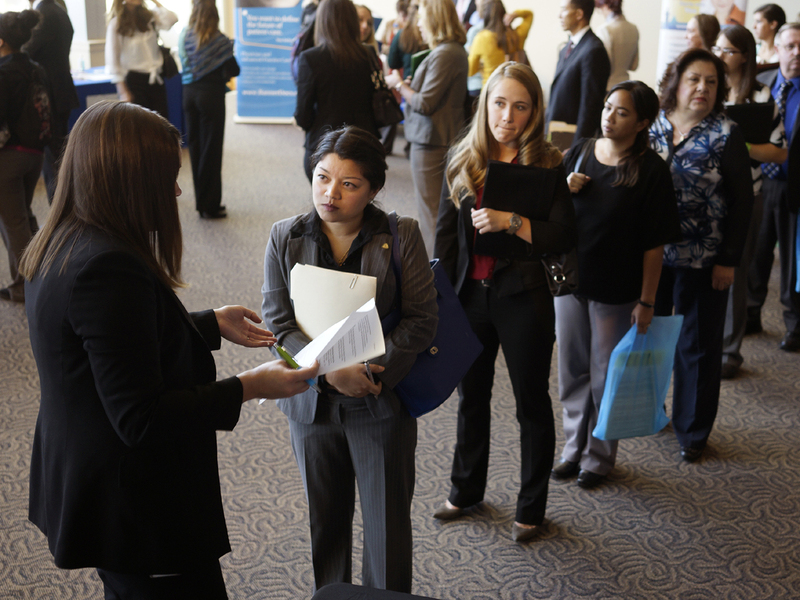 The nation's unemployment rate fell to 5.8 percent, the lowest rate since July 2008. Consensus estimates were for payroll gains of 235,000. But the pace of job-creation over the previous two months was slightly stronger than previously estimated. The government revised upward its August employment report from 180,000 to 203,000 new jobs, while September gains went from 248,000 to 256,000. "Although the 214,000 gain in non-farm payrolls in October was slightly below the consensus forecast at 235,000, this was still, on the whole, a strong employment report," said Paul Ashworth, chief U.S. economist with Capital Economics, in a client note. Obama: Good ideas don't "come from just one party"
After slowing to a crawl in the first half of the year because of harsh winter weather, the economy has enjoyed stronger growth. Gross domestic product -- the monetary value of all the goods and services produced in the U.S. in one year -- rose to 4.6 percent in the second quarter, the strongest rate of growth since 2011. That has encouraged companies to hire and reduce layoffs. Data out this week show that the number of Americans filing for unemployment benefits fell to a 14-year low. Forecasters predict that unemployment, which as of March was still 6.7 percent, to steadily decline over the rest of the year and into 2015. "While there is plenty of uncertainty about how tight the labor market is, there should be little doubt that it is getting tighter," said Jim O'Sullivan, chief U.S. economist with High Frequency Economics, in a research note ahead of the latest unemployment report. Several factors are supporting economic growth. First, the national average for a gallon of gas has fallen to less than $3 for the first time in nearly four years. That is freeing up money for families to spend on other goods and services, which economists expect to boost consumption in the months ahead. Second, banks are starting to make it easier for people and businesses to borrow. One ingredient that has been missing during the recovery is wage growth, which has barely kept up with inflation. Americans saw a meager 0.1 percent, or 3 cent, increase in their average hourly earnings last month, to $24.57. Wages have risen by only 2 percent this year.